Speaking of which, everyone please be very careful driving now that (at least here) the wet winter season has started! Actually, be careful driving all the time… believe me, car accidents are no fun! I most certainly wouldn’t want to hear of anything bad happening to any of my dear readers! I found this roll on the Sushi Chart website. Cook sushi rice and tamago. Slice the tamago into thin strips, about 1/2 inch wide. Cut avocado into thin sticks, about 1/2 cm wide. 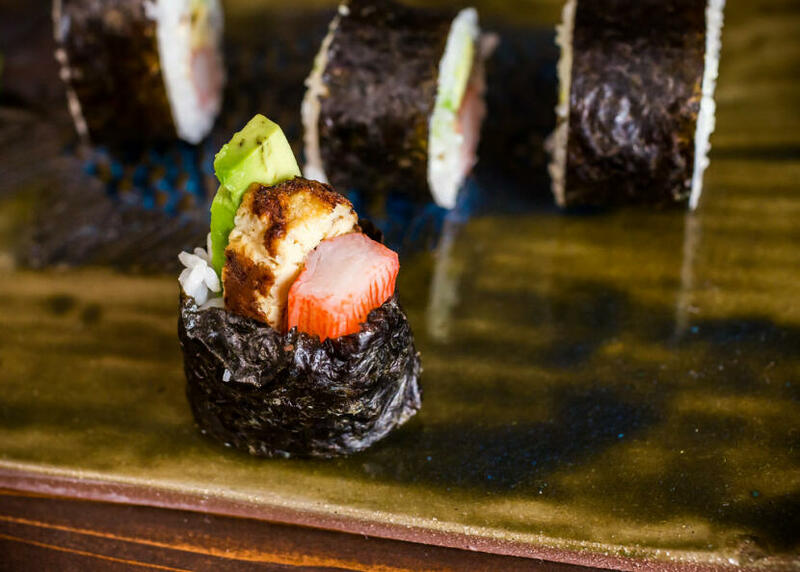 Roll the sushi, using avocado, tamago, and imitation crab as your fillings. Place the avocado on the bottom, then the tamago, then the imitation crab on the top (like a traffic light). 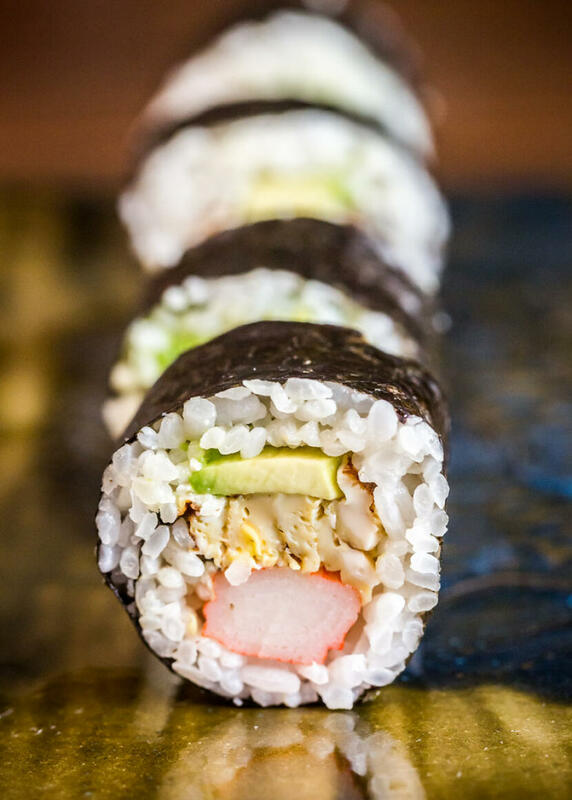 Alternately, you could roll the sushi inside-out with the same fillings, then wrap it with a layer of tamago. Mm, that looks absolutely delicious. I love avocado!!! 🙂 It is… so so yummy! My dad and I are just about to make some of this Stoplight Roll. It looks delicious! We’ll find out as soon as we’re done making it…. Ali – Wonderful! Let me know how it turned out! I hope you like it as much as I did! Grrrr, my dad bought the wrong ingredients! -_- Sadly, I didn’t get to make any. Bummer. Don’t worry, I will soon! Awwwww bummer! I’m sorry to hear that! Hopefully next time it will work out better! Now, the roll was decent, but not wonderful. I love crab (I’m from Baltimore) and I LOVE tamago (I usually order a piece or two for desert), but the combination of the two was just a bit odd for me. It was a weird mix of sweet (tamago) and fishy (crab). 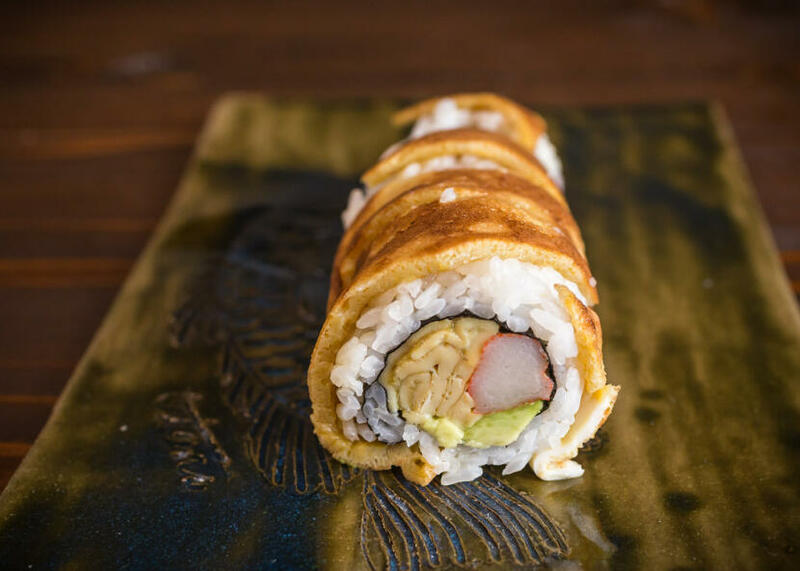 This is just my personal opinion and I won’t likely re-order this roll, but I look forward to more inventive rolls to order in the future. Keep up the great work Sushi Day!!! That’s really cool! If I’m ever in NYC I’ll definitely have to stop by that sushi restaurant! Really nice roll! Creative! Did you come up with it? Never heard of it. I’m trying this next chance I get. No, I didn’t come up with it (although I wish I did!) 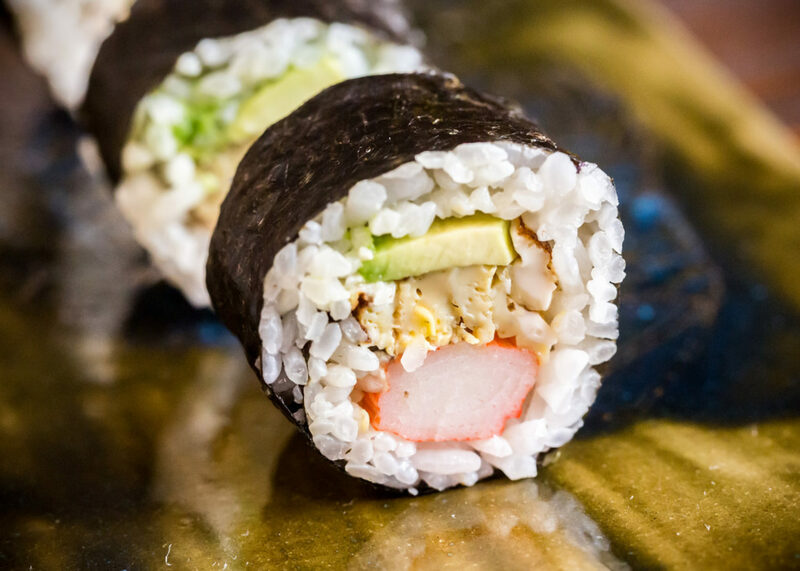 According to the Sushi Chart website that I mentioned above, all of the rolls that are mentioned on that site are common sushi rolls. I have never heard of some of them though, so who knows!